Why should I engage Onspot once a month? Well, you probably know that this is to keep the bearings in good order. But, why do they stay in good condition when they’re rolling? Wouldn’t it be less wear if they’re not engaged and then stay in better condition? Although it may seem contradictory, they should be rolling. Let’s dive into the world of bearings and their lubrication to understand why! First, we need to understand that bearings are designed for different purposes. For example, a crankshaft has different characteristics than any universal joint. If you look at any transport vehicle you will find many bearings, each designed for its purpose. Mechanical forces, temperatures, environment, speed, cost, and more, are all factors which are considered when designing the vehicle. Research and development of materials make it possible to choose from a large variety of bearings today. Class I – Bearings that require the application of a lubricant from an external source (e.g., oil, grease, etc.). Often used in engines and motors where you can have a separate oil pump and system. Class II – Bearings that contain a lubricant within the walls of the bearing (grease, bronze, graphite, etc.). An outside lubricant is added to the bearing to achieve maximum performance. Class III – Bearings made of materials that are the lubricant. 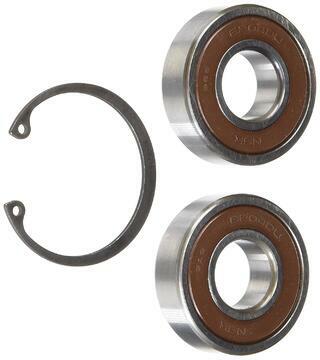 These bearings are typically considered "self-lubricating" and can run without an external lubricant. Always follow the manufacturer’s lubrication instructions. Follow the service scheme, but do visual inspections whenever you can. Do not use grease or any other lubricant on Class III bearings. Lubricants can in the worst case shorten the lifetime significantly. Listen for strange noises. Different sounds can indicate wear or damage. Moving parts are made for moving. Jog them now and then to distribute the lubricant and change position. Modern materials should be treated according to instructions since their characteristics are so different. Today bearings are designed for purpose which means they usually should be maintained differently. Sometimes we forget that simple measures like the above can prolong the life time of bearings, hence saving you time and money. As you know by now, seemingly similar bearings could have quite different characteristics. When designing Onspot the chain wheel bearings have been carefully chosen to withstand extreme wear, yet demanding minimal maintenance. They’re top quality sealed class II bearings, and that’s why they’re so reliable. But, if the bearings don’t operate yet still are exposed to vibrations, eventually the balls will deform and performance will be impaired. This is why you should engage your Onspots once a month, even in the summer: Just by spinning them a few turns the bearing lubricant will distribute evenly and the balls will stay perfectly spherical – and your Onspots will be ready to provide the traction you need when winter strikes. Isn’t that quite convenient – regular maintenance just by pressing a button in the driver’s cab! Daniel joined Onspot of North America in 2015 with the creation of our Eastern Canada Region. 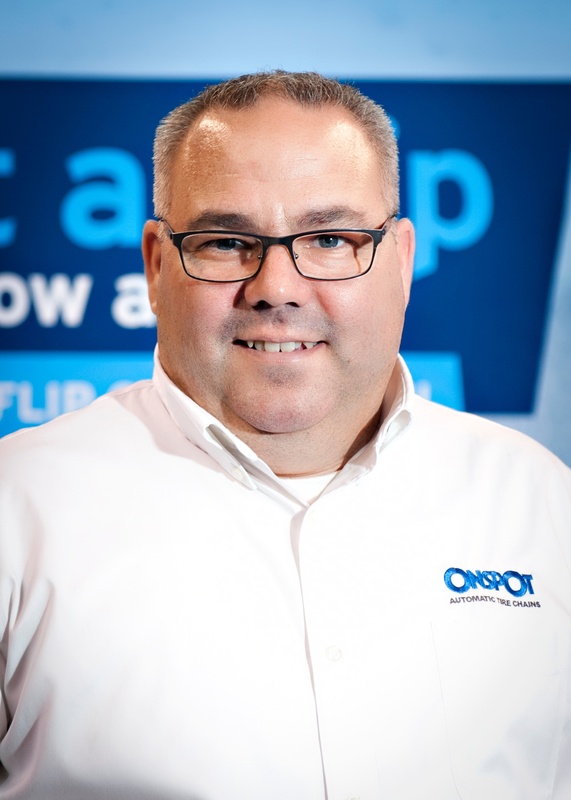 He was the perfect fit for Onspot as the son of the proprietor of one the regions most well known truck equip dealers, Groupe Deziel. Daniel earned a technical diploma from the Du Phare School in 1993 in the heavy vehicle technician program. However, Daniel’s greatest experience comes from his years of working up through the ranks at Groupe Deziel where he worked as the Sales Manager and Project Manager.